Across the world, and due to ongoing globalisation, migration is increasingly becoming a part of daily life. But more than ever, migration can no longer be viewed as a simple linear trajectory from A to B. The emergence of transnational communities and intense interactions between regions of origin and of destination have led to new forms of social–cultural praxis and (sub)cultures which exert an important influence on the integration of immigrants. The case of Flanders, the northern part of Belgium and a reference point for the impact of these processes across Europe, is presented as a case study in this book. 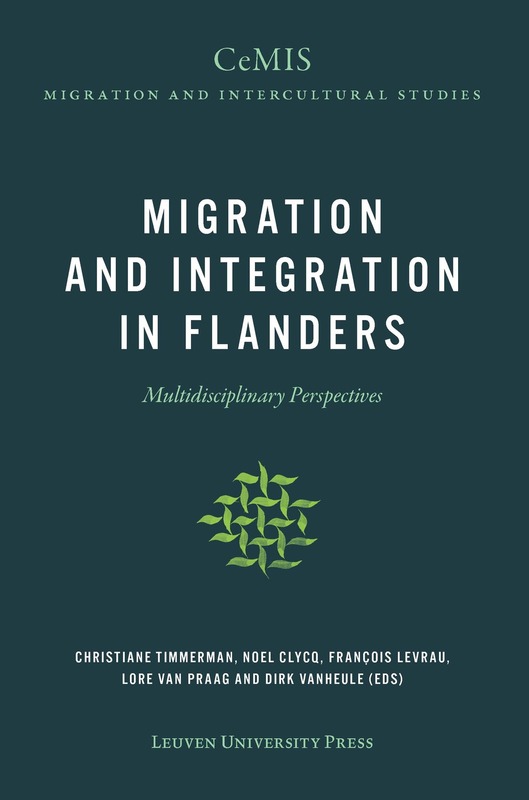 Migration and Integration in Flanders is structured in three thematic parts, opening with chapters on the imaginaries and perceptions of people in changing migration contexts. The book then proceeds with chapters which present theoretical and empiric data on changing integration dynamics in multicultural societies. The final chapter concludes with a discussion of social networks’ mediating role. The growing complexity of migration leads the contributing authors to look beyond borders, both of national frontiers – as migration by definition implies cross-border research – and of disciplines and research methods. In doing so, the present volume offers thought-provoking essays on topical issues that stir public and political debates across Europe, and contributes to fundamental discussions on changing societies. 1. Europe and the Human Rights Imaginary: Do Perceptions of Human Rights in Europe Aff ect Migration Aspirations? 10. Does Migration Motive Matter for Migrants’ Employment Outcomes? The Case of Belgium. Christiane Timmerman (†) was professor and head of the Centre for Migration and Intercultural Studies (CeMIS) at the University of Antwerp. Dirk Vanheule is professor of law, dean of the Faculty of Law, and chairperson of CeMIS at the University of Antwerp. François Levrau has obtained his PhD in social science at the Centre for Migration and Intercultural Studies (CeMIS) and is currently a postdoctoral assistant at the Centre Pieter Gillis, University of Antwerp. Lore Van Praag is a postdoctoral researcher and research coordinator at the Centre for Migration and Intercultural Studies (CeMIS, University of Antwerp). Noel Clycq is research professor at the research group Edubron of the department of Training and Education Studies at the University of Antwerp. He studies issues of diversity and identity and the governance of learning in an era of globalization. Rut Van Caudenberg is a joint PhD candidate at the Centre for Migration and Intercultural Studies, University of Antwerp, and at the Department of Social and Cultural Anthropology, Universitat Autònoma de Barcelona.